A new digital comics publisher – Pencil United – have released details on their first digital comic to read on touchscreen devices! NEW CREATIVE STUDIO PENCIL UNITED TAKES A SMALL STEP FOR COMICS BUT A GREAT LEAP FOR DIGITAL NATIVE GRAPHIC STORYTELLING. SWEDEN, Feb. 17, 2016 – The newly founded studio Pencil United creates comics designed to be read exclusively on touchscreens. Unlike the big mainstream publishers who are stuck with the limitations of printed pages when they digitize comic books, Pencil United embraces the possibilities of the digital medium for graphic storytelling unlike any other. 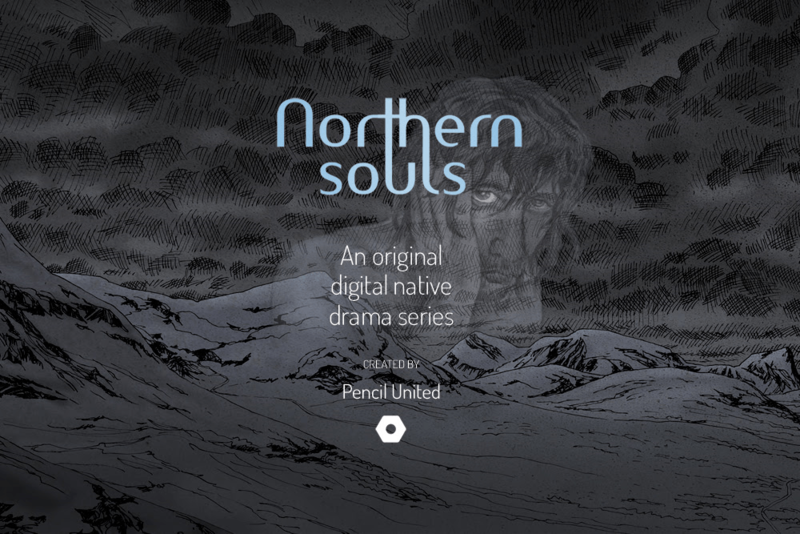 A first taste of the independent studio’s unique reading experience, the drama series “Northern Souls”, will be available early in 2016 when the Pencil United app is released in the App Store. For every episode that is downloaded through the app the studio will buy UNICEF pencils to support children’s learning and creativity. In the year 2000 comics theorist Scott McCloud discussed the future of digital comics in his book “Reinventing comics – how imagination and technology are revolutionizing an art form.” What he thought was lacking technically for comics to make a successful leap into the digital medium and onto the infinite canvas of electronic screens is now, 16 years later, available. But the truth about digitally published comics today is that they are still in most cases repurposed print and the reading interfaces are the results of making comic book pages readable on different screens. The business models of print publishers to capitalize on comic books in two different media are causing limitations for the digital experience and its potential. Pencil United’s basic philosophy is, as Scott McCloud has put it “to embrace the digital environment as the native soil – and plant in that soil what could never grow anywhere else.” The Swedish studio believes that there has long been a curiosity for what the digital medium could add to comics but that it seems as if true innovation is only going to come from small independent creators that are detached from the conventions of the print business. 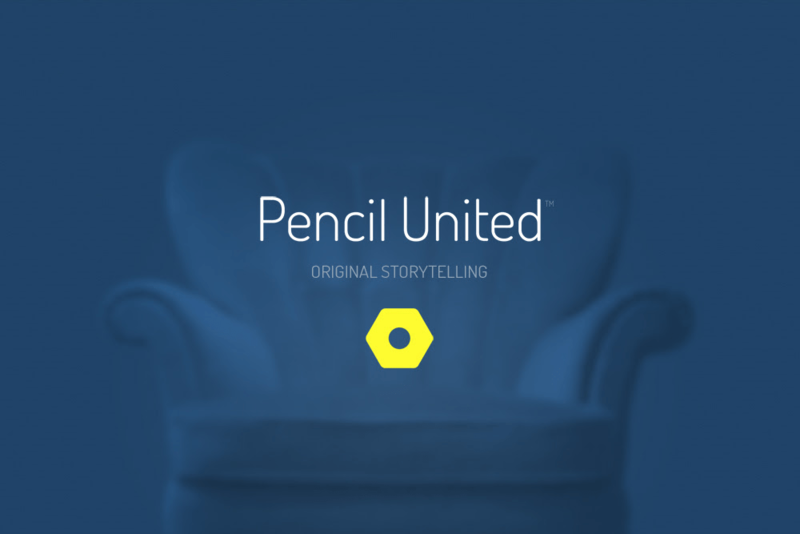 As a part of Pencil United’s belief in the power of stories and the importance of learning, creativity and humanism for development in the world, the studio has decided that for each and every download through the Pencil United app they will buy five pencils from UNICEF who will distribute them to schools all over the world. ”We want to help children to learn to write, read, draw and do maths and support them to reach their full potential. And for us pencils are the ultimate symbol and tool for creativity and humanism”, Andy Mehlq at Pencil United says. ABOUT PENCIL UNITED: Pencil United is a new Swedish independent studio that publishes digital native in-house created graphic stories for touchscreens. The studio’s drama series will be exclusively available in the company’s branded app, that soon can be retrieved from the App Store, for all Retina iPads. To support children’s learning and creativity Pencil United will buy five UNICEF pencils for each and every story that is downloaded through the app.